When you purchase a product from the store, you are probably not thinking about potential defects that could cause harm to you and your family. 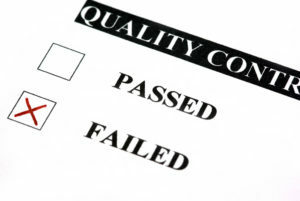 It is the responsibility of the product manufacturer to create a quality product and sufficiently test it to be sure that it poses no risk to consumers. Unfortunately, this is not always the case. Sometimes companies cut corners to save money and increase the speed of production, outsource manufacturing to other companies who use unsafe products, or do not thoroughly test a product before releasing it on the market. If you or a loved one has been injured by a malfunctioning or defective product, you need a qualified product liability lawyer to examine your case, determine who is at fault, and fight to get you the compensation you need for any injuries or damages suffered. 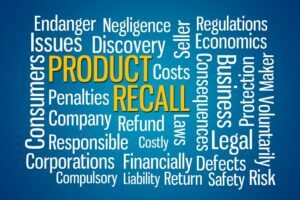 Regardless of whether a defective product has been officially recalled, you may still have a product liability case. The validity of your case is not contingent upon whether a recall was issued. 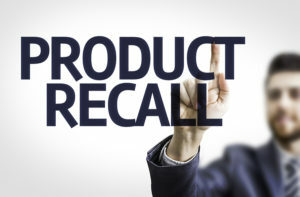 Product liability can be established if there was a flaw in the product’s design, if there was an error made during the manufacturing process, if the product was irresponsibly marketed with improper or insufficient directions for use, or if the manufacturer failed to adequately warn consumers of potential dangers. Dangerous problems can arise at any point in the manufacturing, shipping, storage, or use of a product. If you or a member of your family are struggling to deal with all of the many after effects of a tragic product liability case, the time has come for you to get my law firm on your side. By scheduling a no-obligation consultation with us, you will be able to learn more about your rights and what we can do to protect and further them as your legal team. Keep in mind that at our firm, a client owes no fee to us unless we achieve a settlement of verdict in your favor. 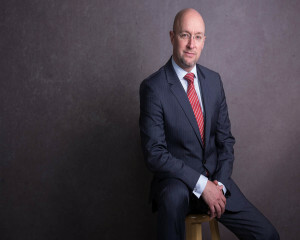 Additionally, our lawyers will be with you every step of the way to make sure that you obtain all of the compensation to which you are entitled as the result of the negligence of a powerful company or business that has caused you these terrible injuries and daunting damages. At my law firm, we are not afraid to take on the largest manufacturers and hold them accountable for the injuries or death their dangerous products cause. My team and I have successfully tried product liability cases against corporations large and small. We also handle complex toxic tort cases involving lead poisoning, asbestos and contaminated soil and water. Manufacturers and distributors should be held responsible for harm that may be caused by their defective products. If you have been injured, let us help you fight to protect your rights. If you or a loved one has been injured by a defective or otherwise dangerous product, I can help you fight for the compensation you deserve. Call me at 312-375-6524 today!